The most common cosmetic concern for most adults is having a brighter smile—but a healthy, strong smile is just as important to Dr. Fields. Appearance and health go hand in hand when it comes to optimal oral health. Patrick Fields, DDS knows the impact of an authentic smile. Smiles are the easiest way to communicate positive feelings, contentment, and happiness. Your smile is your calling card—it’s the first thing others see when you greet them. If you cover your smile because you don’t like something about it, it’s hard to really feel confident about the way you look. Couldn’t you use a little boost to your self-esteem as you move through your busy life? You work hard every day, and you deserve to feel and look your best! Form follows function, or so natural law says. It stands to reason that something appearing durable that is adequately supported will work better for longer than something that appears to be falling apart—and so it goes when it comes to your teeth. Bonding and veneers can cover, smooth, fix and fill, while gum contouring can give your gums a more uniform appearance. Dr. Fields offers Invisalign® for straightening—but read more about our other cosmetic dentistry options below! Veneers are stain-resistant, but Dr. Fields may recommend cessation of any habits that further stain teeth. 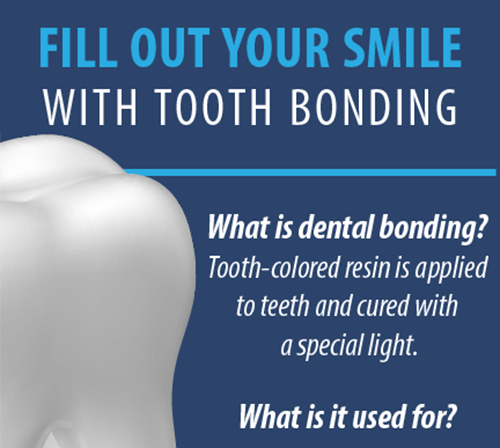 Bonding is an affordable and non-invasive cosmetic restoration where tooth-colored resin is painted over the tooth’s surface. What does bonding do? Bonding treatment can usually be completed in just one visit! Professional teeth whitening is the most popular cosmetic dentistry procedure around. Want to know why? Dr. Fields can give you better whitening results than any product that makes big promises at the store! It goes without saying that you need to brush and floss to maintain healthy teeth and gums, but Dr. Fields can perform gum contouring and reshaping if your gums appear uneven, cover too much of your teeth, or have receded excessively. Sometimes insufficient oral hygiene is to blame, but there are also times when genetics, use of certain medications or other issues affects the condition of gums, too. Gum contouring is not just cosmetic—it plays a role in fighting gum disease, too! If you’d like to know more about treatment options with your Cabot Invisalign dentist, Dr. Patrick Fields, call or schedule an appointment online today!